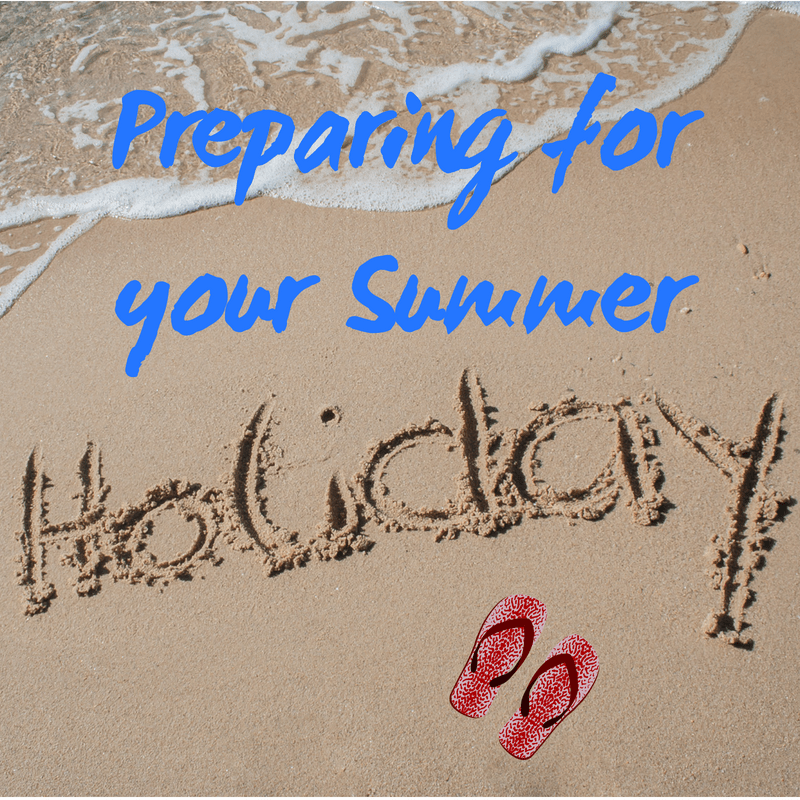 The warm weather has got many of us excited to escape for our annual summer holiday, and with most of us only having limited time and financial resources to spend on holidays, we want to make sure we do it properly. Here are our top tips for making sure you are well prepared for your summer trip and ready to make the most of it. Holidays are never quite the same if work issues are lingering at the back of your mind, so do your best to ensure everything is taken care of and you can wipe the workplace from your mind whilst you relax and enjoy your annual leave. Of course, the first thing to do is to ensure your time off is approved and in the calendar as early as possible, and it’s also worth making sure the other members of your team are aware with plenty of notice that you’ll be off, so that they can plan for taking care of some of your tasks. If possible, it’s wise to try and get ahead on a bit of work before you leave, in order to avoid coming back to a mountain of work (and potentially unhappy clients). You should also negotiate clearly with your team and line manager exactly who is responsible for what in your absence, to ensure clients still have a point of contact and important work will not be overlooked. As long as this is all in place, you should be able to free yourself from “work mode” and trust that others will take care of your responsibilities whilst you are refreshed and replenished. There’s nothing worse than a last-minute panic that a passport is missing, so try and establish an organised system, such as using a travel wallet, for all your documentation, and make sure it’s in place in plenty of time before you leave. If you’re travelling in a couple or family, make sure it’s clear who is going to take care of this to avoid any “I thought you had it” type arguments. The most obvious thing to keep safe if you’re travelling abroad is your passport, but there are several other important items aside from this. If you’re travelling by aeroplane, it’s often the case now that you need to have printed your boarding pass yourself before you get to the airport; some budget airlines will charge you if you haven’t done this, so it’s best to be safe. Also check that you have valid tickets for any transfers that are required, or for public transport you need to take such as trains. It’s also important to be aware that the country you’re travelling to may require you to have a visa or something similar before they allow you to enter, so play it safe and look into this before you hop on a plane. If this is necessary, get it sorted in plenty of time and, if there is any paper documentation, keep it in your travel wallet with everything else. Plan ahead what you want to and can afford to spend on your holiday so that you’re not worrying about finances whilst you’re away. It’s always a good idea to look around for the best exchange rates, and it may also be worth working out which currency is best to take; for example some European countries have a local currency but will happily accept the Euro, just as some South American countries might accept the dollar. It’s also worth thinking about how much you want to take in cash, whether or not you will withdraw more cash whilst you’re there or whether you want to spend on your card. For those who prefer not to carry huge sums of cash around, the latter two options may be appealing; find out what your bank will charge for withdrawing cash or using your card abroad, as some are much better at this than others. Additionally, think about what you will need and what you plan to do to give yourself a good estimate of how much you’ll need; if you’re going to be self-catering then you’ll need more spending money than if you’re going all-inclusive, but if you’re planning to make several day trips you may need a decent amount of cash even if you’re all-inclusive, so take this into account. Whilst it’s important to carefully decide on and plan your holiday budget, stressing about it is not much fun. Filling out a handful of Crowdology’s easy, engaging online surveys before you go could help fund a guilt-free round of drinks or a few ice creams on the beach, so go ahead and earn yourself a little extra cash to truly make the most of your summer holiday!